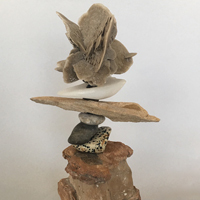 "I've always felt something magical about coming upon a rockstack along a trail. 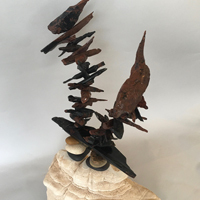 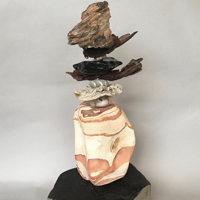 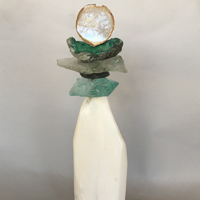 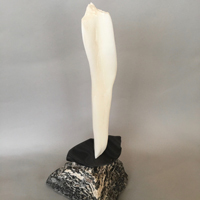 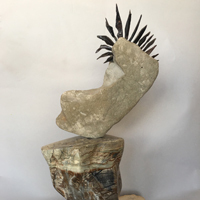 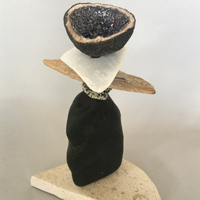 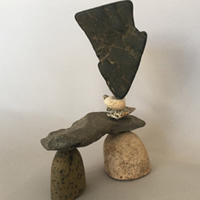 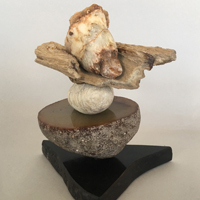 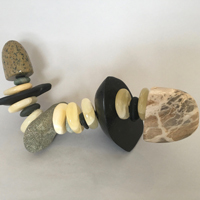 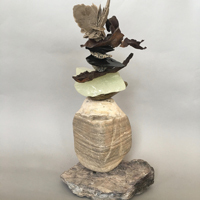 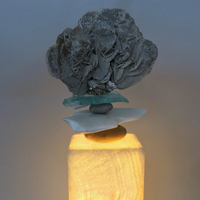 The idea of using more varied stone intrigued me – combining gem-quality geodes, agates and concretions with boulders and other inherently sculptural 'found' rocks." 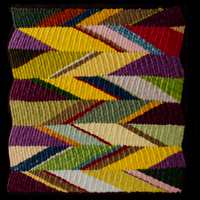 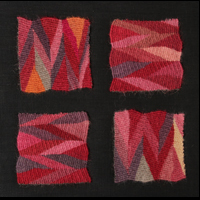 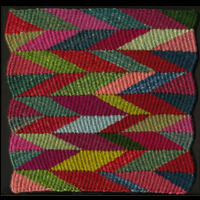 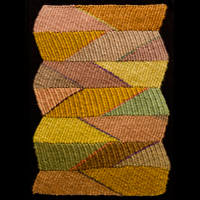 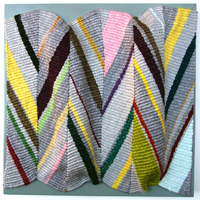 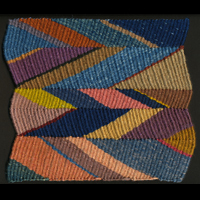 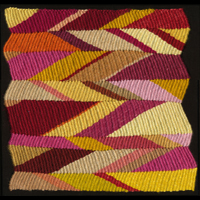 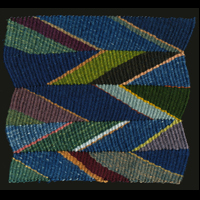 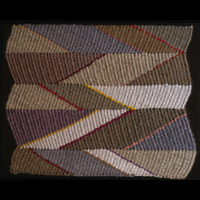 "Working in the medium of woven textiles, I use my tools to observe and comment on what I see. 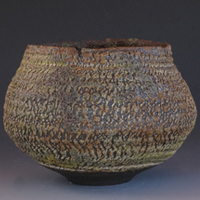 These observations come from news of world events, travels and study of ancient and traditional art forms. 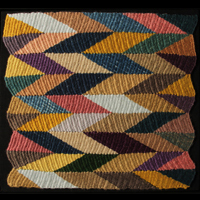 By employing simple, iconic geometry and strong colors, there is room left to contemplate what is not there and not explicitly stated." 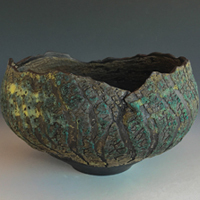 "As an artist, I am drawn to textures and patterns in nature that are in a state of erosion and disrepair. 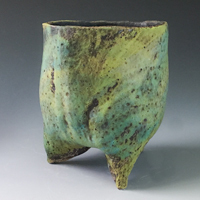 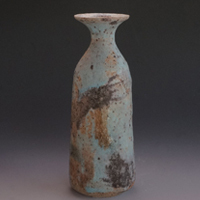 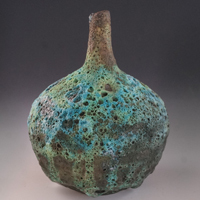 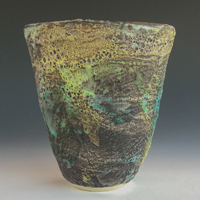 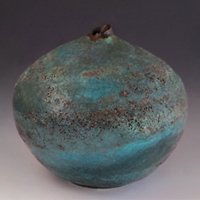 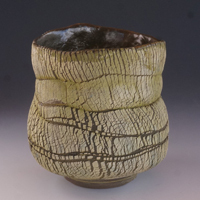 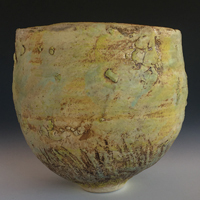 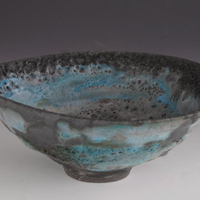 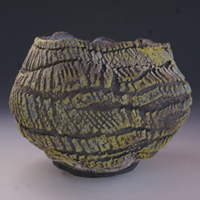 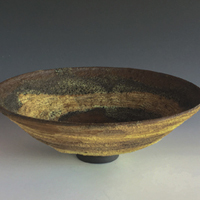 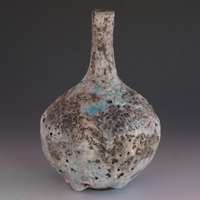 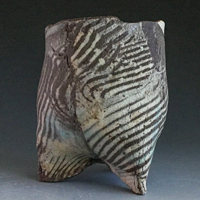 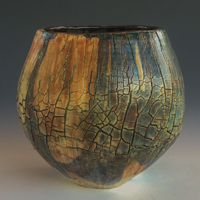 Of all the visual arts, Ceramics has held my attention for over 25 years as I am intrigued by the unpredictable process and the materials. 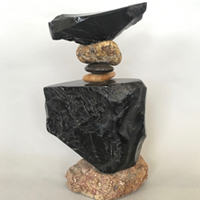 Working with minerals, hands in earth is very grounding." 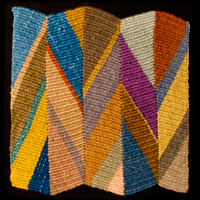 Fri, Sat, & Sun 11:00 am - 5:00 pm.